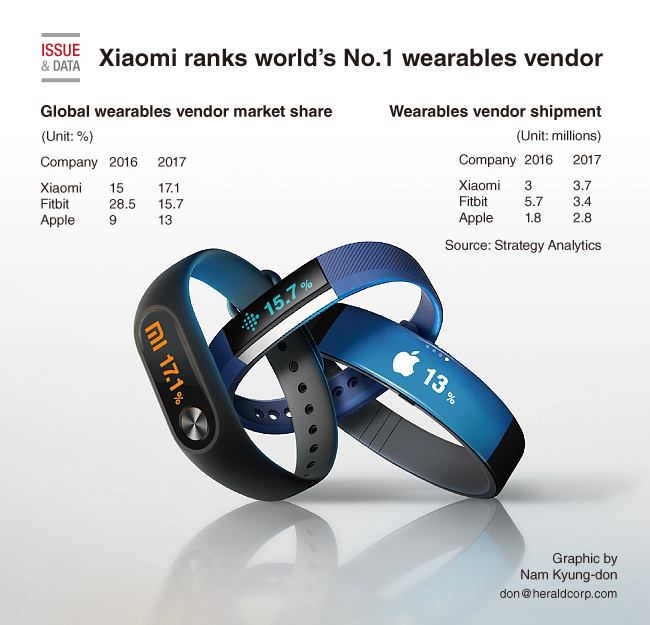 Xiaomi is the world’s largest wearables vendor, exceeding Apple and Fitbit, according to the market researcher Strategy Analytics. Data showed that global wearables shipments rose 8 percent yearly to 21.6 million units in the second quarter. Xiaomi delivered 3.7 million units, with 17.1 percent market share. Right after it was Fitbit, delivering 3.4 million units, with 15.7 percent market share, followed by Apple, with 13 percent market share.